Unemployment in Athens-Clarke County is gradually falling to meet state and national averages. 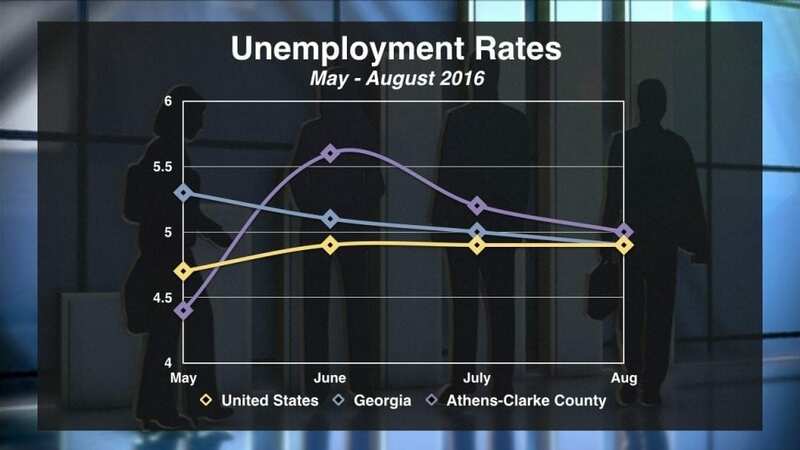 ATHENS, Ga.–The unemployment rate in Athens-Clarke county is falling, getting closer to national and state-wide rates. According to the U.S. Bureau of Labor Statistics, from June to August the unemployment rate in Athens-Clarke County went from 5.6% to 5.0%. In the same time frame, the Georgia unemployment went from 5.1% to 4.9%. Nationally, it remained constant at 4.9%.